A CAR WITH two children inside was hijacked today and their mother forced to drive to an ATM and take out money. 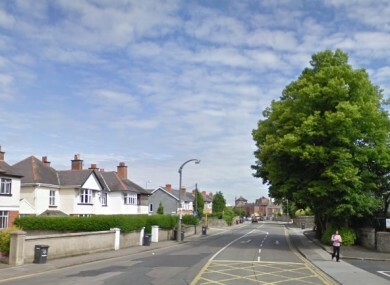 Gardaí in Terenure said that the incident occurred at approximately 3.40pm when the female was stopped at traffic lights in her Grey BMW Estate at the junction of Zion Rd and Orwell Rd, Terenure. They said an unknown male got into the back of the woman’s car, threatened her and demanded money from her. He claimed to have a weapon, and instructed the woman to drive to her house and retrieve bank cards, which she did. Gardaí say the man then told the woman to drive to an ATM at the AIB Bank in Rathgar. He demanded that she withdraw money from the ATM. The culprit then forced the woman to drive the car to Portobello, at which point he left the car. The woman and her two children were uninjured during the incident. The hijacker is described as being about 5’9″, with shaved dark hair, he was unshaven, and of a medium build. He was wearing a dark wax-type jacket and dark scarf. Gardaí are appealing for witnesses or anyone with information to contact them at Terenure Garda station. They are particularly appealing for anyone who may have been close to the junction of Zion Rd and Orwell Rd around 3.40pm and saw a suspicious male hanging around. The woman claims that she sounded the car horn when the male jumped into the back of her car. Gardaí are also appealing for anyone who may have seen unusual behavior around the ATM at the AIB Bank in Rathgar at approximately 4.05pm to 4.10pm to contact them in Terenure on 01 6666400, the Garda Confidential Line on 1800 666 111 or any Garda station. Email “Man hijacks car with two children inside, forces their mother to drive to ATM”. Feedback on “Man hijacks car with two children inside, forces their mother to drive to ATM”.